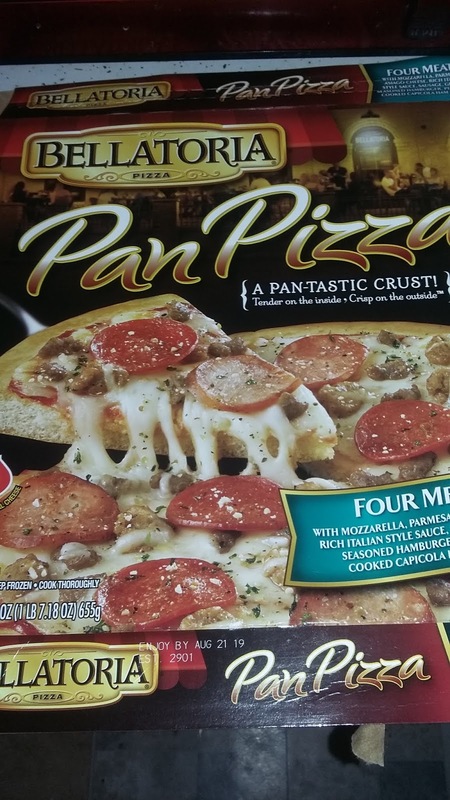 Either it's a new product, none of our local stores have carried it or I just wasn't paying attention, but I wasn't aware Bellatoria even offered a pan crust variety of pizza until discovering it a couple days ago. I was somewhat intrigued and, since it was on sale, picked up one for dinner. After having it, I have to say I was very impressed. There were a couple things that really stood out about this pizza with the main one being the crust. My wife and I both loved it. It came out of our oven crispy on the outside but still soft on the inside. This made the entire pizza much more enjoyable and, as a result, I found I wasn't throwing out part of the crust for the squirrels (something that is kind of rare for me). I also thought this pizza brand was fairly generous with the toppings, at least when compared to other frozen pizzas I've had. This is especially true of the cheese. I've had way too many frozen pizzas that had almost no cheese on them so this was a welcome change, especially since I only paid $5.99 for it. As far as seasonings go, I also had no complaints. I think it feel somewhere between too spicy and too bland, which made it more than acceptable for dinner. Final Opinion: Purchasing this at a sale price was a nice bonus but, even at full price ($7.99), I would consider it as a dinner option. I do recommend giving it a try.